Diabetes affects more than 2 million Floridians, and the numbers keep going up. Being told you have diabetes may be unsettling, but with the right help, it’s a very manageable illness. 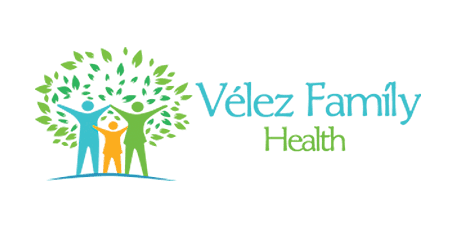 As a family practice physician with a focus on holistic health, Dr. Tania E. Velez at Velez Family Health in the Doctor Phillips area of Orlando, Florida, can help you manage your diabetes. Call the office or book an appointment online. Diabetes is a medical condition that affects your body’s ability to use food as energy. When you eat food, your body turns some of it into glucose, which your cells then use for energy. Insulin, a hormone made by the pancreas, carries the glucose from your bloodstream into your cells. People with diabetes either don’t make insulin, or the insulin they make doesn’t work properly, causing the glucose to stay in the bloodstream instead of getting to the cells. A blood glucose test may determine if you have diabetes. Type 2 diabetes affects more people than Type 1 diabetes. Carrying excess weight and a sedentary lifestyle increases your risk of developing Type 2 diabetes. If you’re experiencing these symptoms, call the office for an evaluation and a check of your blood sugar. An early diagnosis may help prevent diabetes-related complications such as kidney disease or nerve damage. The key to managing diabetes and preventing complications is to get your blood sugar within a normal range. Dr. Velez helps you improve blood sugar with a combination of diet, exercise, and medication. Because excess weight increases your risk for Type 2 diabetes, Dr. Velez may first suggest simple changes you can make to your diet and lifestyle to assist in weight loss, such as the importance of portion control and easy tips to fit in more activity. Medication is prescribed when needed. Most people with Type 2 diabetes take oral medications. Insulin injections manage Type 1 diabetes. If you have concerns about diabetes or need help managing your blood sugar, call the office or book an appointment online. Integrative Medicine incorporates both conventional medicine and evidenced-based alternative therapies to help prevent and treat disease. We help guide adults in preventive care through nutrition counseling and wellness visits. We also treat chronic diseases such as high blood pressure and diabetes through lifestyle modifications, and medications. We see patients age 5 years and older for well and acute visits. Some vaccines are available for administration. We offer Well Woman Exams including pap-smears and breast exams, as well as examination and treatment of acute gynecological problems. We also offer counseling on family planning and birth control. We offer in-office procedures including but not limited to skin biopsies and removal of minor lesions such as skin tags, moles and warts, in-grown toenail removal, joint injections, and laceration suturing (stitches).